Caprylic/capric triglyceride is an oily liquid made from coconut oil. In is used in cosmetics and other personal care products, such as face creams, lipstick, eye makeup and foundations. It can also be used in perfumes, moisturizers and sunscreens. It is found naturally in foods but can also be made by industrial processes. Caprylic/capric triglyceride acid has the chemical formula CH3(CH2)6COOH. It is also known as octanoic acid, capric acid, octanoic/decanoic acid triglyceride and capric acid triglyceride. It is a mixed ester composed of caprylic and capric fatty acids. Caprylic/capric triglycerides are a specific fraction of coconut oil, often erroneously referred to as fractionated coconut oil. It is colorless, odorless, tasteless and stable. Caprylic/capric triglyceride occurs naturally in coconut oil and glycerin. It can be prepared commercially from the fatty acids in coconut oil. Caprylic/capric triglyceride has a number of useful properties in the formulation of cosmetics and, in particular, face creams. Caprylic/capric triglyceride creates a barrier on the skin's surface, decreasing the amount of moisture lost through the skin, functioning not only to prevent dryness in skin, but also as a skin conditioning agent. It provides a slippery feeling and promotes dispersion of pigments in various colored cosmetics. Caprylic/capric triglyceride is an excellent emollient as well, improving both the aesthetics of the product, as well as working to soften and smooth the skin. Caprylic/capric triglycerides have a low viscosity. This property allows it to alter the thickness of a particular cosmetic product . Adding caprylic/capric triglycerides to thick face creams helps thin them out to the desired thickness of the particular manufacturer. Caprylic/capric triglycerides are often used as inactive carriers of topical pharmaceutical agents in both humans and animals because they are efficient solvents. Vitamins or other fat-soluble chemicals are easily dissolved in mixtures of caprylic/capric triglycerides and can be used to enhance the beneficial properties of face creams. Caprylic/capric trigylceride does not readily oxidize. It is particularly useful as a stabilizer of emulsions. This property is particularly useful in facial creams and other cosmetic products, helping to give them a longer shelf life. The Food and Drug Administration lists caprylic/capric triglyceride as Generally Recognized As Safe, or GRAS, for use as a direct food additive. 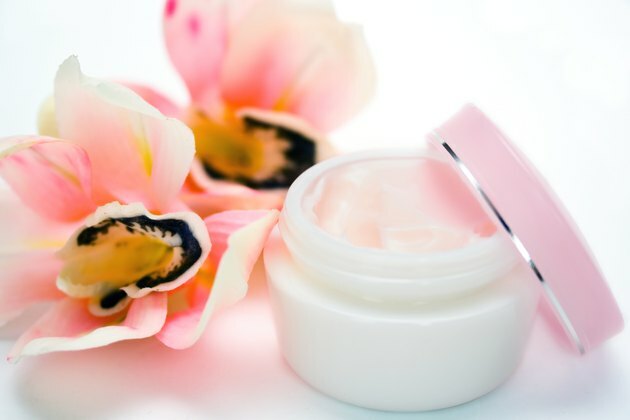 In addition, caprylic/capric triglyceride has been assessed by the Cosmetic Ingredient Review Expert Panel, which evaluated the scientific data and concluded, and reaffirmed in 2012, that it was safe in the way it was being used at that time.